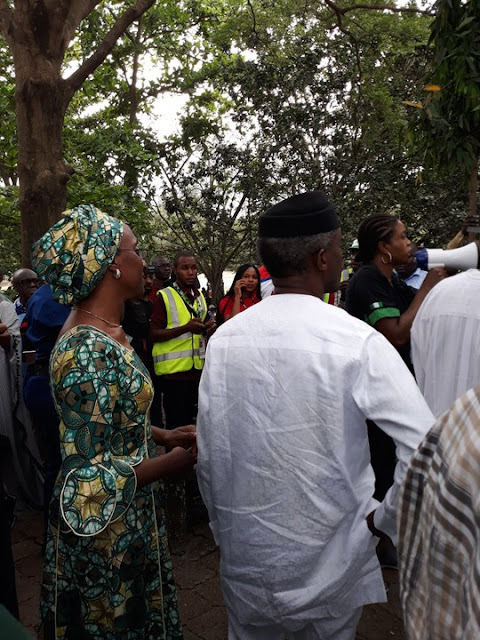 Vice President Yemi Osinbajo and his wife, Oludolapo, on Saturday, voted at his Victoria Garden City polling unit during the presidential and National Assembly elections. His media aide, Laolu Akande, shared the details on his verified Twitter handle. Akande said that the VP expressed satisfaction with the turnout of voters.